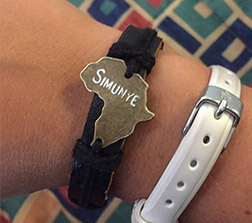 The Simunye Project has created sustainable and lasting change in people and communities. We work with a few rather than many communities and aim to take them to a level where they can begin to provide for themselves. This model has proven successful with three daycare centers and a primary school now operational. The Simunye Project focuses on three main areas of support: education, health and new and renovation building. EDUCATION: The Simunye Project helps by providing study scholarships for teachers, school and university students, teacher salaries, educational resource, school bags, uniforms and stationary. HEALTH: By partnering with the founder of e’Pap, Basil Kransdorff, The Simunye Project provides a feeding scheme that is rich in healing nutrients. We also build kitchens and vegetable gardens and provide boreholes. The project builds eco-friendly toilet facilities to ensure clean sanitation. Food and care packs are also donated once a year to more than 180 families. BUILDING WORKS: The Simunye Project also dedicates supplies and labor to build classrooms, storage containers, renovations, playground equipment (climbing frames and low ropes courses). Tshepang is an after-school program for orphaned and vulnerable children. It is located in Roodepoort, just outside Johannesburg, in a house. Tshepang was founded by Susan Rammekwa, who has many years of experience in children’s services. She established this program with minimal resources but saw a need to support the children living in poverty in the informal settlement of Princess Crossing. Tshepang now services over 200 children and supports them with a meal a day, child services, a safe place to be after work, helps older children find jobs, keeps the children in school and provides support with health and wellbeing. Susan has won several awards for her leadership in child services. It is the dream of Susan and The Simunye Project to build a purpose building that would cater for the diverse needs of the children in her care. Princess Alice Adoption Home (PAAH) is a temporary place of safety which provides 24-hour residential care to babies who have been consented for adoption, abandoned or occasionally removed from family care. It cares for 30 babies and toddlers (aged newborn to two years old) in a healthy and loving nursery environment. The home is also a safe haven for up to four pregnant girls who are destitute or in crisis. While at the home, the birth moms are counselled and helped to decide whether to keep their baby or consent for adoption. We ensure that they receive antenatal care and are supported throughout the birth experience. This is a new and severely under-resourced school in Mpumalanga Province. It caters for over 150 primary aged children in temporary classrooms. The leadership is strong and together with the Simunye Project has developed areas of the school to make education more accessible and the grounds more amenable to children. This is a daycare in rural Mpumalanga Province that caters to 30 underprivileged children who are cared for while their family members work or try find work. Many of the families cannot afford to pay for the care and thus the daycare is under-resourced and has no funding. The Simunye Project has recently begun to work with Nomsa, the director, to build new classrooms, an outdoor kitchen, resource the rooms and play areas, build a playground and provide fencing for security. This is the third daycare center that The Simunye Project has developed from the initial stages of inception. The two other daycares are now fully operational with government support catering for over 150 children.